We love camp—absolutely love it! We believe God uses summer camp to establish spiritual markers that students will remember as they grow in their commitment to follow Jesus. Our goal is to connect students with each other and their leader through small group Bible study, engaging worship, and activities built around strengthening relationships. At camp, students will rotate through group bonding games within their Life Groups, paving the way for relationship building that fosters meaningful discussions during Life Group Bible Study time. 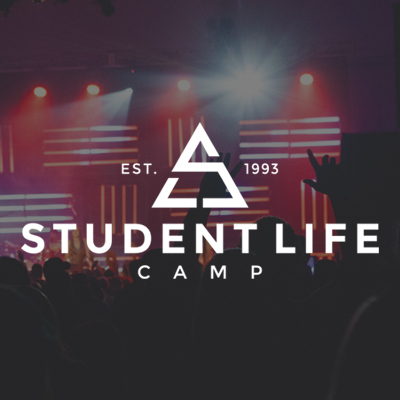 At camp, students will hear the good news of Jesus which helps to shape every aspect of their life in such a way that God’s Word remains center-stage. Camp Theme: Student Life Camp 2018 will explore the characteristics of Yahweh, the one and only one living God (Deuteronomy 6:4), as experienced by Moses in Exodus 3-4. Rather than reduce God to a single attribute like “love” or “judge,” our students will encounter an Almighty creator who is above us and with us in His Son Jesus. A God who declared His own divinity with the “I AM” statements recorded in John, and worthy of our trust because He will never change or fail. Our current culture suffers from intense “god” confusion, but your students will have a clear picture of God’s character and how He relates to His children. They will return home with a firm theological and relational foundation to form a God-centered worldview.